Figure 7. Time / DIV or DLY Time Control. 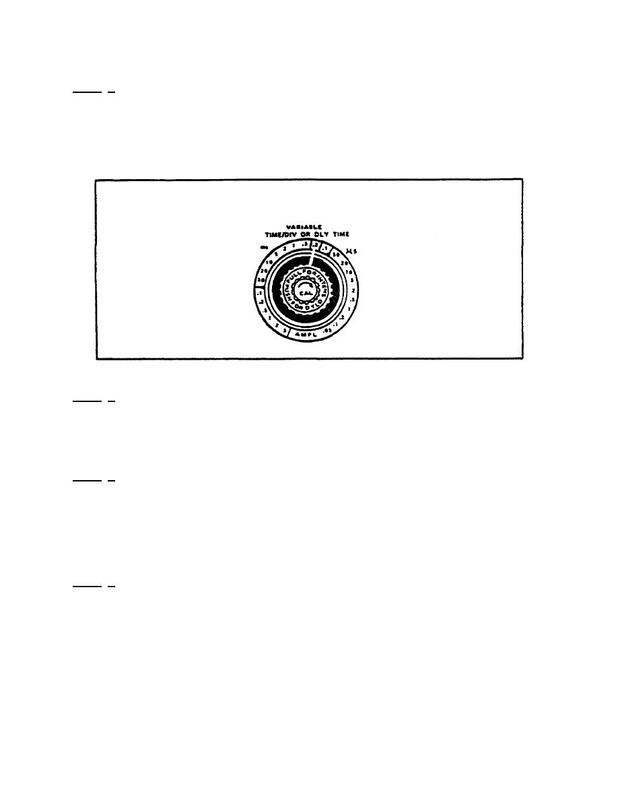 Home > Ordnance Documents and other related manuals > > Figure 7. Time / DIV or DLY Time Control. Figure 8. Volts/ DIV Switch. below) as follows. Turn the TIME/DIV switch to the .2 ms position. FIGURE 7. TIME/DIV OR DLY TIME CONTROL. Step 4. Place the input coupling AC/GND/DC to the AC position. equal to .5 volts of input signal. other end to the INPUT connector of the left vertical amplifier. POSITION controls to center the displayed waveform.